There’s not much cooking to be done in the future, as food will materialize in front of you seconds after placing an order. 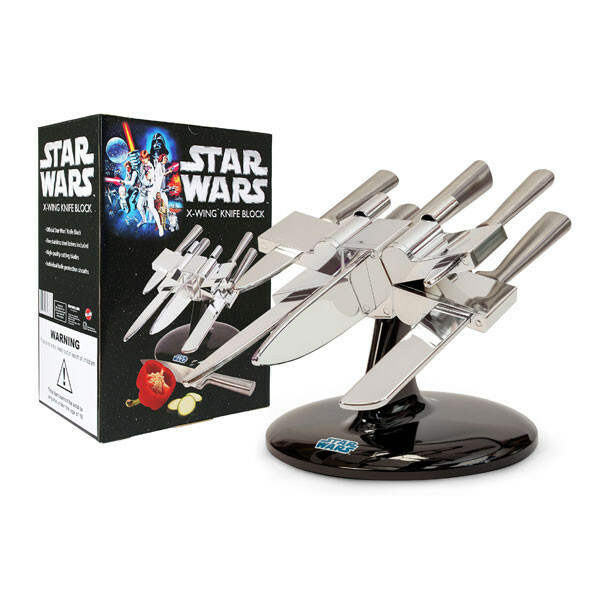 Still, this Star Wars X-Wing knife block is great even as an ornament, if not used for its intended purpose. While Jedi masters and Sith Lords use lightsabers to cut and slice, geeky chefs will have to stick to good ol’ stainless steel. In other words, we might not get to see lightcarvingknives anytime soon. 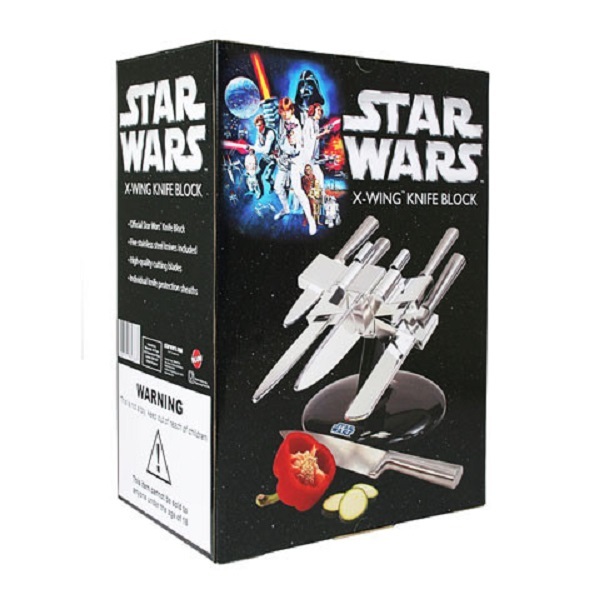 Still, this doesn’t make the Star Wars X-Wing fighter knife-block any less impressive. It definitely represents a great piece of decoration for any geek’s kitchen. The knife holder itself is made of a chrome-effect plastic, while the blades and the handles of the knives are of stainless steel. I’ve developed an obsession for unibody stainless steel knives recently, and the ones I went for are from the Thomas Rosenthal range, not exactly Japanese quality, but decent nevertheless. The five knives provided with this holder have various sizes and serve different purposes. 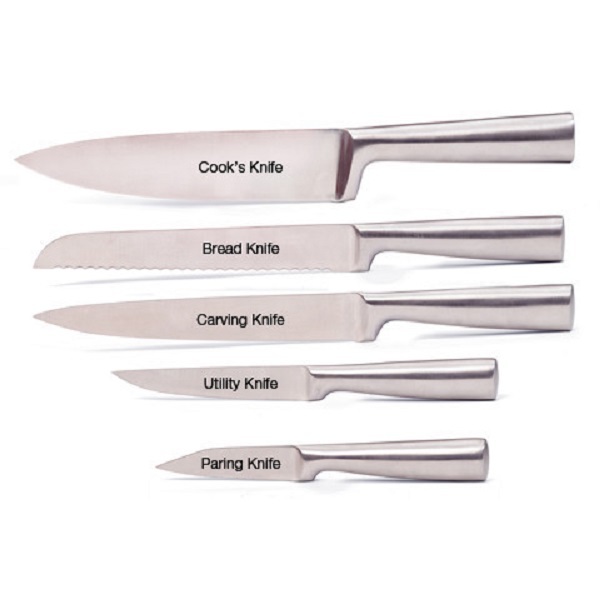 In the following image you can see the differences in the design and the use of each knife. While designing these, the manufacturer didn’t forget about the safety of the product. 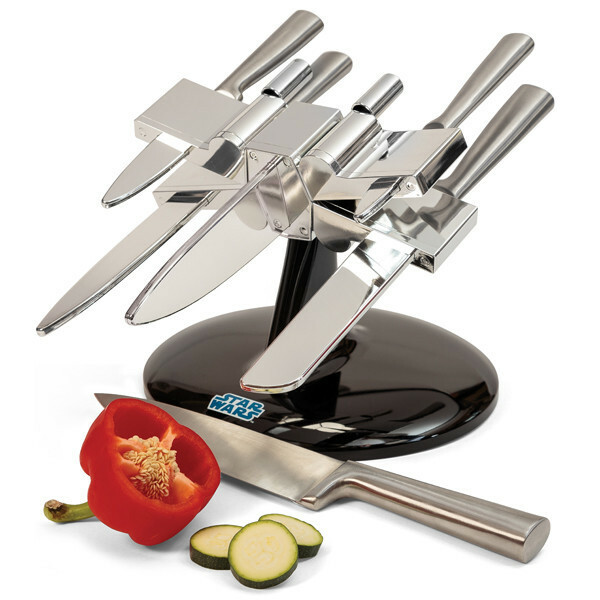 Having naked blades protruding through the X-Wing could’ve been dangerous, so the knife block was equipped with chromed sheaths that protect you from accidentally making contact with the blades. Assuming that anything happens to any of the knives, you won’t be able to replace it with one of your own, because of the very sheaths that make the holder safer. That would be one of the downsides. The other is the material the holder is made of. Using stainless steel for the X-Wing, as well, would’ve made the block more expensive, but a lot more durable. I don’t want to imagine what would happen to the knife block after falling off the counter, for example. All in all, the product looks great, but there’s definitely room for improvement in certain areas. 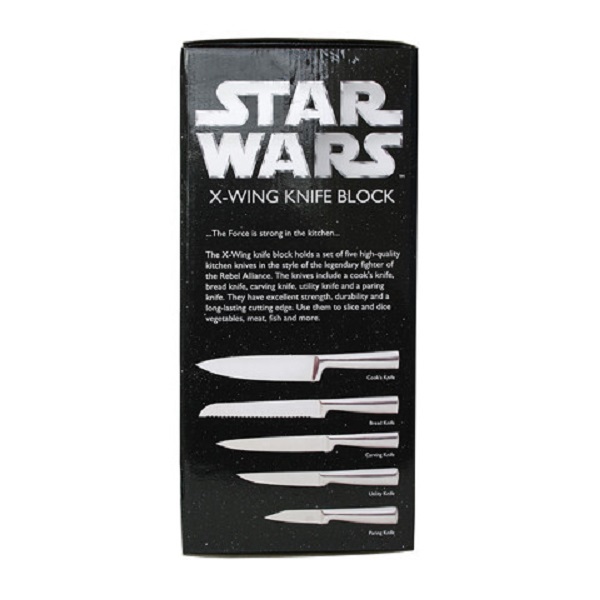 The Star Wars X-Wing fighter knife block will be available on The Fowndry for £69.99, the equivalent of $120, starting in August. Still, you are free to pre-order one set (or as many as you like). Since these knives are of an unknown quality, it’s hard for me to say whether the price is decent or not. Be social! Follow GadgetHim on Facebook and Twitter, and read more related stories about the IBM System x M4 and the Tech Download series.